The Clean Plate Club: CSN Giveaway!! So, you know about CSN Stores right? 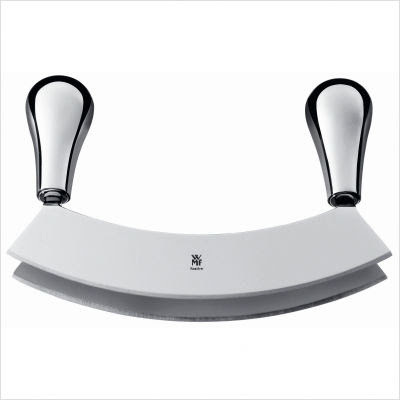 CSN has over 200 online stores where you can find everything from stylish furniture, modern bedding, or my favorite: great cookware! They have a lot of great deals on some terrific cookware and utensil brands - stuff that you know and could probably find for wayyyy more $$$ at the mall or specialty shops. CSN has great prices on quality stuff! 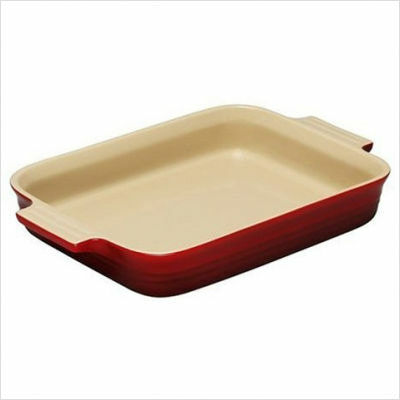 A Le Creuset baking dish - to add to my newly acquired pieces! 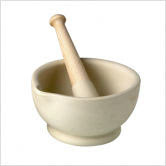 A ceramic mortar and pestle, for grinding spices. And a Mezzaluna - for making quick work of fresh herbs. It looks sort-of intimidating, doesn't it? But instead of shopping for myself - I decided I'd like to do another giveaway, because I love my readers - and I love when you leave me comments. CSN is offerring a $40 gift code to a reader of The Clean Plate Club! And if I choose your recipe for gameday, you will also get a surprise, straight from my kitchen! Game day food, huh? I'm thinking pretzel rolls! I'm currently lusting after an immersion blender. Great giveaway! I'll share my most recent game day snack - grilled buffalo chicken tenders. Ooh, I also need (ok, WANT) an immersion blender. I will be posting a whole slew of game-day snacks next week and a guest post on Meghan's blog tomorrow morning. BUT in the meantime, check out my Orzo arancini. Tweeted about the giveaway also! These would be a great veggie option. And their tasty enough that even meat eaters will love them! I don't cook much during game day, I just drink beers. perhaps I'll take these recipes as a starting point. in anycase, I'll tweet about this! I love to make guacamole! And my best friend's mom has a stand-by recipe for 'taco-dip' that we make every year! Think beans, sour cream, guacamole, cheese, olives, tomatoes & taco seasoning. Deliciously not-good for you. These Mini Ham and Cheese sandwiches are always a hit! This is a great recipe. I use the variation where you make some bread crumbs and parmesan cheese to top it. Love a good taco chip dip or taco salad. Goes over great! I love this Cucumber dip...I pair it with crackers and it's also great with baby carrots and even pretzel sticks!